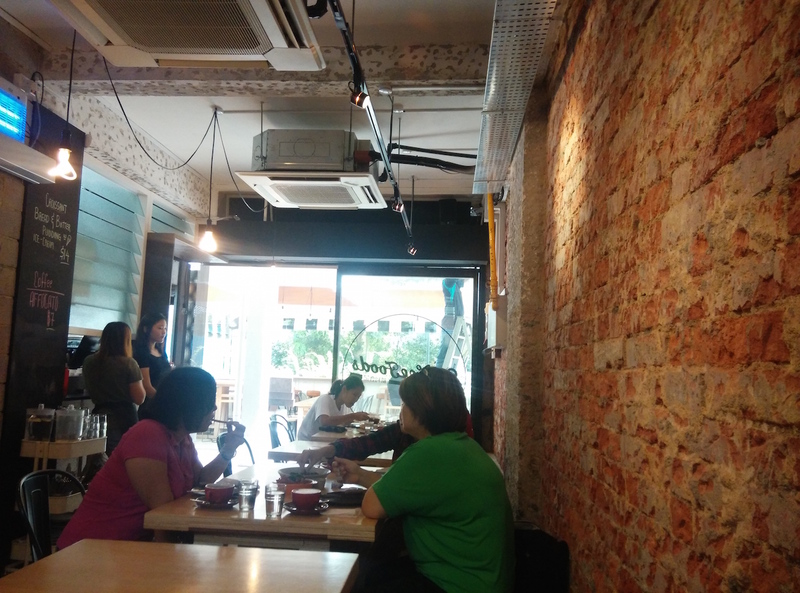 Hidden a short walk away from Tiong Bahru MRT along Bukit Ho Swee is another old style coffee shop turned café. 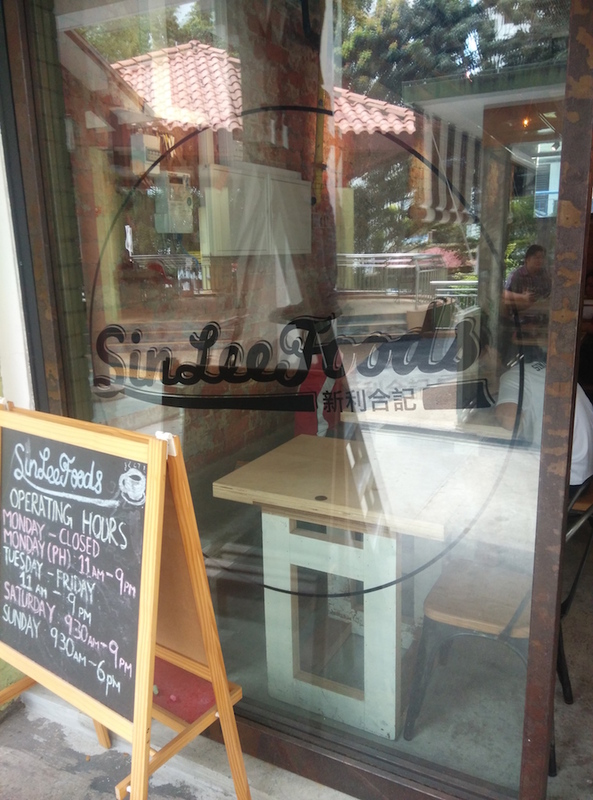 Sin Lee Foods is a fusion-style cafe whose exterior presents a stark contrast to the decor inside. 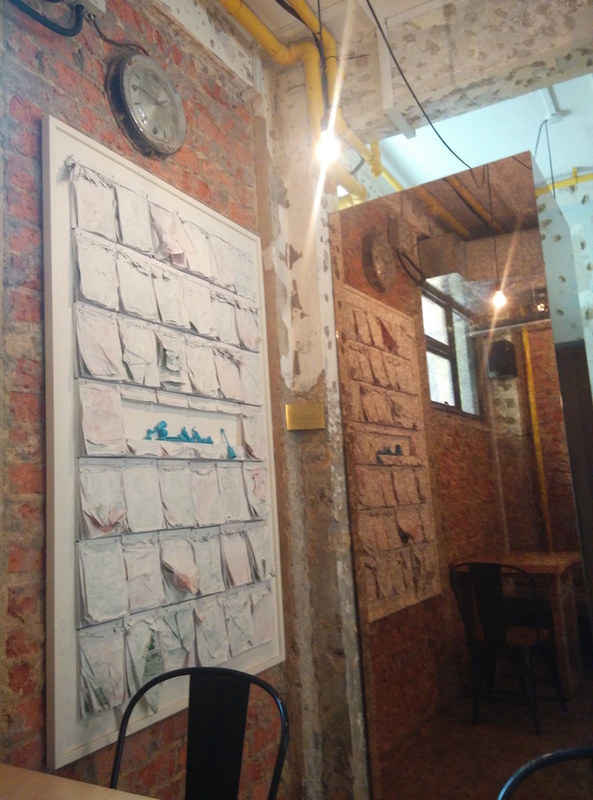 The rough brick walls and exposed hanging light bulbs sit alongside neat wooden tables which reminded me of my granny neighbour’s living room in one of the shophouses along Beach road. 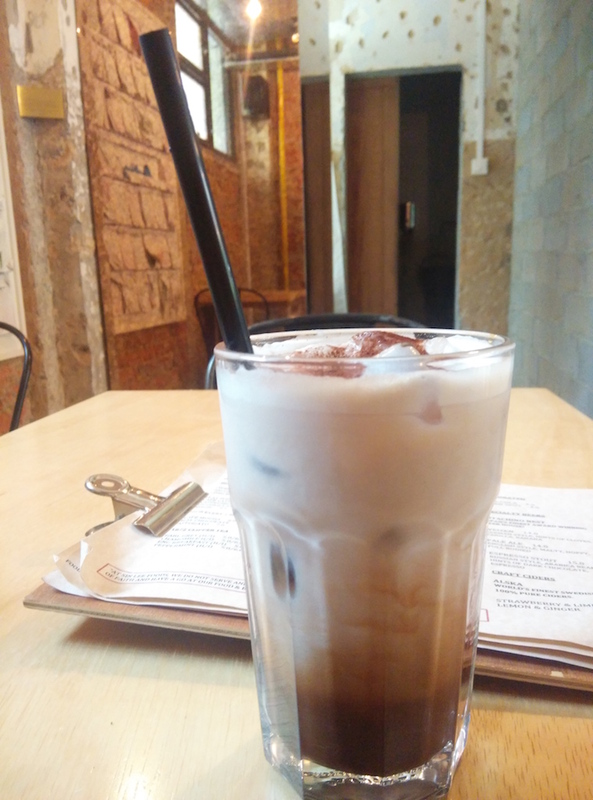 I ordered an Iced Mocha ($7.50) and their Croissant bread and butter pudding with ice-cream which was proudly recommended at the top of their chalk wall. The mocha had a mellow coffee flavour and carried a tinge of bitterness from the cocoa with each sip. The sweet aftertaste of milk and coffee lingers at the back of your throat as the smooth concoction went down. It’s a refreshing drink that would perk one up in any circumstance and I liked it. I ordered the pudding not knowing what to expect and it was served in a boat dish on a wooden board which I usually use to prepare my baked rice. 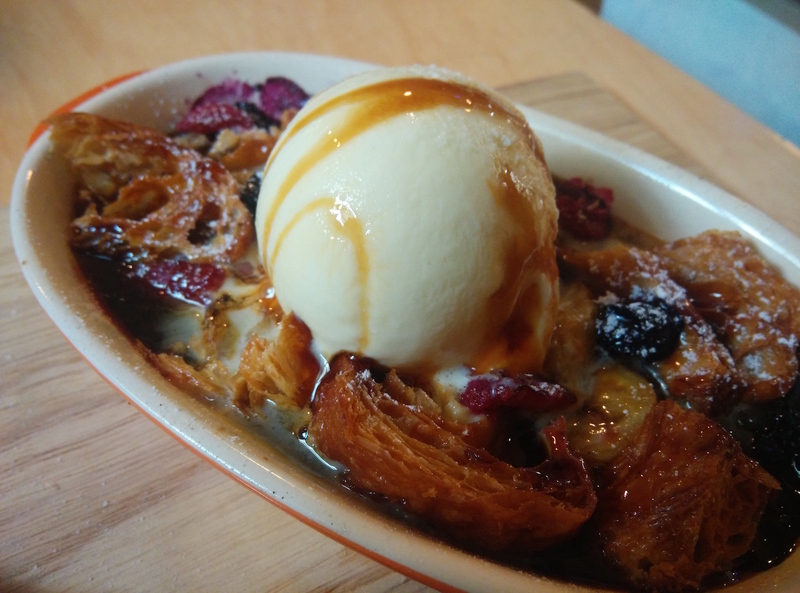 The dessert was a delightful mix of crisp, toasted croissant chunks in a bed of syrupy fruits. Real slices of strawberries, bananas, raisins, blue berries and raspberries could be seen lurking under the surface of the gooey dish providing an attractive array of colours. Topped with a scoop of vanilla ice cream, the freshly baked dessert was served piping hot and seriously ridiculously sweet. The different fruits gave the pudding a range of flavours from the sourness of the raspberries to the sweetness of the banana slices and coupled with buttery croissant bits and ice cream. When the croissant began to soak up the ice-cream, it became tastier as the buttery flavour melded with it for a dripping mess of deliciousness. I found the overpowering sweetness too much for me and will recommend sharing it with friends. The store also offers more filling lunch items like fried chicken and waffles but the desserts look good enough to ensure returning customers time and again. 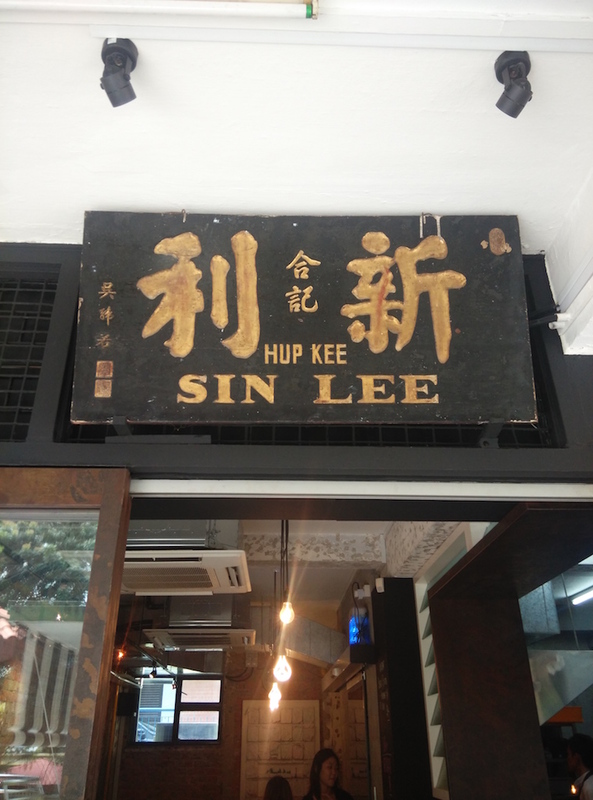 What are the menu items you tried in Sin Lee Foods at 4 Jalan Bukit Ho Swee? 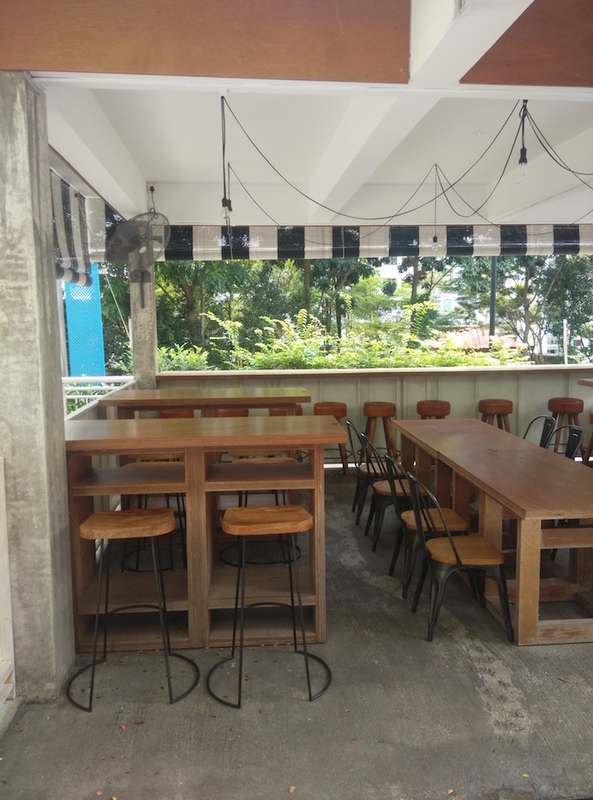 Do share with us your thoughts on this or any other cafes.